This is a biennial program and will be offered in winter 2020. The Mathematical oncology program will be conducted in cooperation with the Department of Integrated Mathematical Oncology at Moffitt Cancer Center in Tampa, Florida. The program will be offered in alternate years. It will be open to any student who has satisfied prerequisite requirements and is limited to 10 students per offering. The program includes two new courses in addition to an extra offering of Math 76 (Topics in Applied Mathematics) and will include internship opportunities for all ten of the admitted students. Five research areas are represented in the department: Agent-based cell-cell interaction models (Enderling), theoretical and experimental models of evolutionary dynamics in cancer (Gatenby), computational models of cancer evolution (Basanta Gutierrez), spatial models of tumors (Rejniak), and tumor/microenvironment interactions (Anderson, using widely ranging tools). Each of these research areas will host two student interns from Dartmouth as part of their off-campus experience. Mathematical and theoretical biology emerged as a defined discipline in the 1960s, as an approach to quantitatively describe complex dynamic biological systems using first principles. With the growing acceptance of cancer as a complex dynamic system, consisting of many interacting cellular and microenvironmental components, the reductionist view that has successfully dominated cancer research is being challenged by a more systemic perspective. Traditionally, experimental cancer biology has been very successful in teasing apart the component parts and understanding them in minute detail, however, integrating these components experimentally is difficult if not impossible. Mathematical and computational models are ideal for piecing together these component parts and turning them into hypothesis generating engines. Note: Maths 22 and 23 are taken by students from a range of science and engineering majors, as are some of the more advanced courses on the list of options. Evidence of computing facility in some language (e.g. Matlab, Java, Python) is also required, preferably through one or more courses in Computer Science. The Undergraduate Program Committee of the Department of Mathematics will choose program participants from among those who apply. Moffit Cancer Center is a non-profit institution focused on cutting-edge research and treatment of cancer. 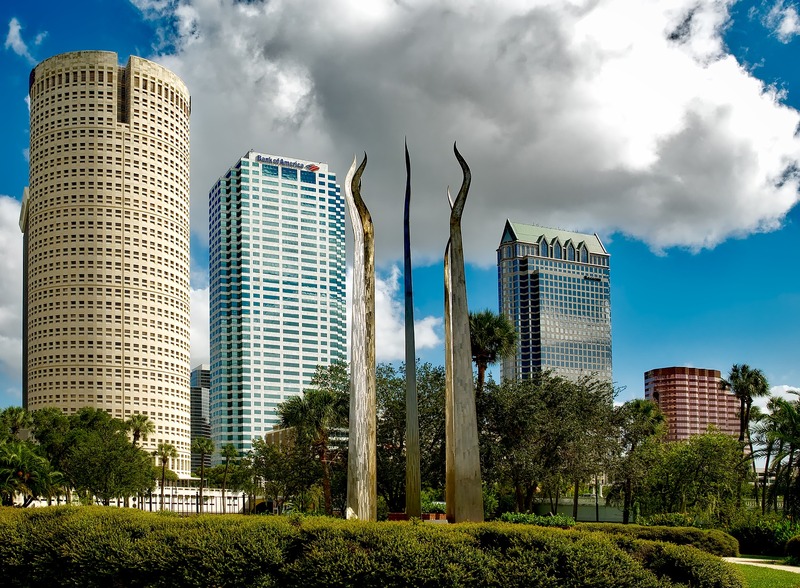 Located adjacent to the University of South Florida in Tampa, it is easily reached via Tampa International Airport. Dr. Heiko Enderling will conduct an orientation to the area, the program, and nearby facilities available to students. Possible auxiliary activities include a visit to Crystal River, home to a large manatee population, the Tampa aquarium, a tour of the karst geology of the region, a trip to Tampa’s Dali museum, and a tour of a working citrus processing plant. The area around Moffitt Cancer Center is not a particularly interesting place to be after the school day is over. Guests visiting Moffitt for extended periods are usually directed toward the more interesting historic district of Ybor City just northeast of downtown Tampa. A collection of small houses available for longer stays in the historic district of Ybor. Ybor Village is a block of historic homes located on E. 9th & 8th Avenue in historic Ybor City. These houses are equipped with Wifi and are 40 minutes from Moffitt Cancer Center by public bus.